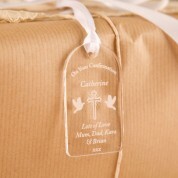 This confirmation tag is a great addition to any gift. 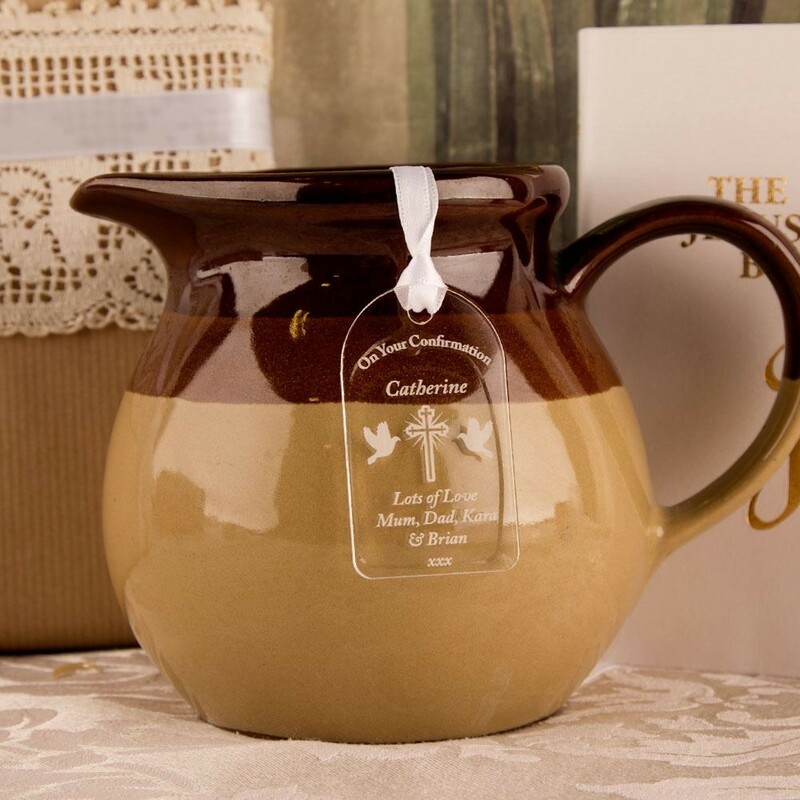 It features a cross & dove design along with the recipient's name and a personal message. It comes with a loop of white ribbon so is ready to attach to a gift. 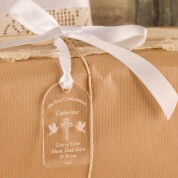 The recipient can hang it up on a pin board or over an ornament in their room to keep as a keepsake for after the event.